As the weather warms up, people all across Florida begin to explore one of her greatest natural resources – water. Not only a peninsula, Florida also possesses a large amount of inland lakes and waterways. It is only natural that this State’s residents and visitors take advantage of this time of year, and boats, jet-skis and the like are typical sights on the water. However, these marine vessels are motor vehicles, and the operation of these vessels does require responsibility. Unfortunately, accidents can happen, and, due to the fact that these accidents do not happen on dry land, some of the results can be tragic. Recently, a boater recalled the horrific events in September which left a man dead and his daughter with broken bones and a head injury. In the accident, which occurred in the Intracoastal Waterway in Clearwater, an inattentive and intoxicated father crashed his jet-ski into the boater, after turning directly towards the boat and accelerating. A discussion of what to do if you are injured in a marine accident will follow below. As mentioned, operation of a marine-based motor vehicle requires the same responsibility as operation of a land-based motor vehicle. Thus, in the same way there are laws and regulations relating to an operator’s conduct on the roads, there are also laws and regulations for operating vehicles on the water as well. In fact, there are both state and federal maritime laws and regulations, both of which can be in play at the same time. Further, the Florida Legislature passed the Florida Vessel Safety Law, which sets out important standards of conduct for operating a marine vessel in both inland and coastal waters. License Requirement – anyone born after January 1, 1988 will need to acquire a Boating Safety Education Identification Card and pass an approved safety course to operate a vessel greater than 10 horsepower. Reckless and Careless Operation -the operation of a vessel in willful disregard for the safety of others or property will be cited for reckless operation. 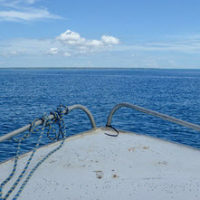 Generally, all operators are responsible for operating their vessel in a reasonable and prudent manner with regard for other vessel traffic, posted restrictions, the presence of a divers-down flag, so as not to endanger person or property. Failure to do so is considered careless operation, which is a non-criminal infraction. Boating Under the Influence – there is a prohibition on operating a marine vessel if your blood alcohol level is 0.08 percent or higher (or 0.02 or higher if you are under 21). Diver-Down Flags- operators must make a reasonable effort to maintain a distance of at least 300 feet from divers-down flags on open waters and at least 100 feet from flags on rivers, inlets, or navigation channels. Vessels approaching divers-down flags closer than then these distance restrictions must slow to idle speed. Vessel and Speed Restrictions – operators must adhere to both “Idle Speed – No Wake” and “Slow Down – Minimum Wake” when passing through waterways. Water Skiing – an operator towing an aquaplaner (who must be wearing a personal floatation device, and not be impaired by alcohol or other drugs) must either have an observer on board or have and use a wide-angle rear-view mirror. Further, no one may ski or aquaplane between sunset and sunrise. Finally, the boater may not tow the aquaplaner so close to a fixed object or another vessel that there could be the risk of a collision. If you are injured in an accident while on the water in Florida, you may be able to recover compensation. If you suspect that the other person did not follow reasonable and/or prudent standards during his/her operation, or was under the influence of alcohol or narcotics, contact the attorneys at the Miami law firm of Pita Weber Del Prado. We will act swiftly to ensure that those who are liable for your injuries are held responsible. Contact us today for a free consultation.